Congested? Sore? Anxious? There’s an essential oil for that. 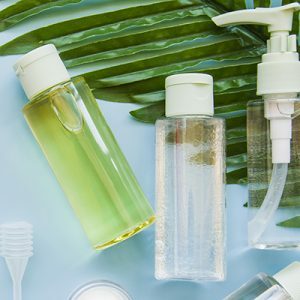 Essential oils may seem like a buzzy trend in the beauty and wellness space, but there’s no denying the extensive benefits found in age-old plant extracts—especially eucalyptus oil. Eucalyptus oil can help clear your sinuses (try Organico Breathe Essential Oil Blend), relieve sore muscles, and combat stress. But before you slather it all over your entire body, let’s break down what it is and how to use it safely and effectively. Eucalyptus oil comes from the oval-shaped leaves of the eucalyptus tree, which is native to Australia. The leaves are dried, crushed, and distilled to release the powerful essential oil, says Amy Galper, co-founder of the New York Institute of Aromatic Studies. The main ingredient is cineole (also known as eucalyptol), which is known for its anti-inflammatory, analgesic, and aromatic properties. Australian Aboriginals used eucalyptus as a natural remedy against wounds, infections, aches, and colds. Just one whiff of the minty, menthol-like aroma can open up your sinuses. It might also remind you of the locker room at Equinox: Galper says it’s no coincidence that eucalyptus oil is the scent of choice at spas and health clubs. 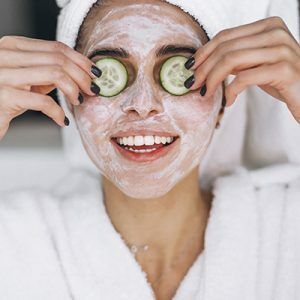 “It’s really great for relieving muscle aches, which is why you smell it a lot in spas,” she says. 1. It can clear your sinuses. The most effective way to combat congestion with eucalyptus oil is steam inhalation, which allows the oil to react with mucous membranes, reducing mucus and loosening up congestion. It’s important to note that eucalyptus oil is strong, so you only need one or two drops to achieve the desired effect. To create steam inhalation: Place one to two drops in a small bowl of steaming hot water. Drape a towel over your head to focus the steam and stand with your head at least an arm’s width away from the bowl. Close your eyes and breathe in deeply, allowing the vapour to enter your nose. Inhale the steam for five to 10 minutes. 2. It can boost mental clarity and combat brain fog. Eucalyptus oil can clear your airways and allow more oxygen into your lungs, which can boost energy and promote mental clarity. “Most people who breathe it automatically feel a great release, like their breathing becomes easier,” says Galper. Diffuse five drops at home or work to refocus. 3. It relieves sore muscles and joint pain. Thanks to the anti-inflammatory benefits of eucalyptus oil, it can work wonders if your muscles are sore after a workout or if you suffer from chronic pain caused by certain conditions, like carpal tunnel syndrome or tennis elbow. Mix one or two drops with a carrier oil (like coconut, argan, or jojoba oil) and rub it on the sore area in a circular motion. 4. It keeps bad breath at bay. Thanks to the antimicrobial properties in eucalyptus oil, it can combat bad breath and be used as a natural mouthwash. Simply add one to two drops to water, gargle, and spit out. Be careful not to swallow; eucalyptus oil shouldn’t be ingested. 5. It stimulates your scalp. There are a variety of benefits of using eucalyptus oil for your hair: it stimulates the scalp, fights dandruff, and improves hair elasticity. Add one drop to your shampoo before applying. Anti-fungal components in eucalyptus oil combat the yeast-like fungus malassezia, the most common cause of dandruff. Simply mix two to four drops of eucalyptus oil with one to two tablespoons of coconut oil, apply to scalp, wait 20 minutes, then rinse thoroughly. 7. It soothes insect bites. 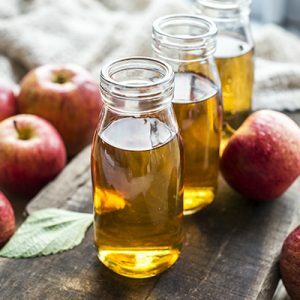 Eucalyptus oil contains a natural antiseptic that can be used on bug bites, ulcers, sores, cuts, and burns. It also has antimicrobial properties that work to prevent the growth of new germs. Apply two to three drops on a clean cotton ball and rub the area of concern twice daily. 8. It helps cuts and scrapes heal. Create your own antiseptic wash at home for cuts, scrapes, and burns. Add 10 drops of eucalyptus oil to two cups of water and combine in a spray bottle. Spray a damp, clean cloth and wipe the wound. For general immune support, try Organico Safe Guard Essential Oil Blend. Its anti-inflammatory and pain-relieving properties, coupled with its natural cooling sensation, make eucalyptus oil ideal for soothing a painful sunburn. Antibacterial properties also protect the skin from infection. 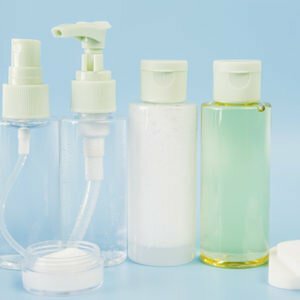 Fill a two-ounce spray bottle with purified water. Add two to four drops of eucalyptus oil and one teaspoon of pure aloe vera gel, which acts as a natural emulsifier. Shake well and spray on skin for relief. This also makes for a refreshing spray that can cool you down on a hot summer day. The fresh, menthol-like aroma will help wake you up and invigorate your senses. It will also provide calming relief before you start your day. Simply fill a spray bottle with cool water and add five to 10 drops of eucalyptus oil. Spray the shower walls and turn the hot water on, allowing it to steam before you step in. Be sure to adjust the temperature accordingly. Not only can eucalyptus oil alleviate sinus pressure and boost mental clarity, but it also promotes the relaxation of tense facial muscles. To alleviate a headache using the essential oil, simply roll up a damp, clean cloth and sprinkle with a few drops of eucalyptus oil. Apply to forehead, focusing on your temples and the back of your neck. 12. It keeps insects and rodents away. Looking for a repellent that isn’t filled with harsh chemicals? Look no further than eucalyptus oil. The scent repels moths, rodents, cockroaches, and mosquitos. Add 20 drops to a large spray bottle of water and spray around targeted areas. Just note: eucalyptus oil is toxic for cats and dogs, so exercise caution and consult your vet before spraying in homes with pets. While eucalyptus oil can work wonders in a variety of ways, Galper stresses the importance of diluting the essential oil before directly applying it to your skin—and steering clear of sensitive areas. 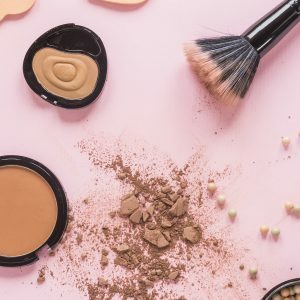 “I wouldn’t recommend it in a blend for the face, and it could be irritating if applied directly on skin,” she says. “So always dilute it down.” Eucalyptus oil is not for internal use, should not be ingested, and should not be used directly on children.